Here are some crazy rich Asians who own and manage real estate business, residences, and five-star hotels across Asia. 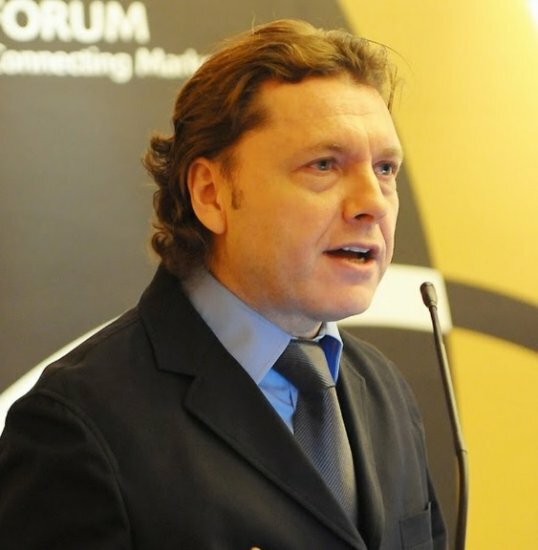 One of PALACE magazine’s esteemed Luxury Expert columnist – Alexander Karolik-Shlaen – who has written for the magazine since 2009, has appeared in various regional and global media, TV, and is frequently sought to attend established business forums, writes about his personal experience with some crazy rich Asians in properties he has met and known in his career. There are plenty of rich Asians in the business of luxury. Some are golf fanatics; some love watches and spend fortunes on their collections; others love big, fancy yachts or exorbitantly priced supercars. But all have one thing in common – the love of property! So, it’s hard not to subscribe to this pan-Asian “religion”. For affluent individuals, this “religion” is also their main source of fortune. For the ones who draw their billions, not from property, they still invest heavily in property, usually the trophy kind, and more likely a lion’s share of their income is going into property investment. Let’s look at the Forbes’ top richest Singaporeans. We will find a major part of them derive their fortune, and or are, engaged in property business. The same can be said about the super-rich folks in Malaysia. Observing the top-tier billionaires on the Singapore list. The richest of them all are Brothers Robert and Philip Ng that control the privately held Far East Organization, Singapore’s, and probably, the region’s largest private landlord and property developer. The group was founded by their father, who moved from China to Singapore in 1934 and came to be known as “The King of Orchard Road”. According to Forbes, they are worth USD 11.9 billion but we are certain there is some fortune unaccounted for when mentioning of such a gigantic, privately-held organisation. In no.4 slot with USD 7.6 billion is Kwek Leng Beng, the executive chairman of Singapore’s Hong Leong Group, founded by his father in 1941. Kwek is also executive chairman of City Developments, Singapore’s second-largest property developer. Kwek’s companies are acquiring assets in the UK, China and Australia, and also owns a chain of hotels, as well as some of the fanciest hotels in Singapore such as St. Regis Hotel and Residences, W Hotels and JW Marriott that they also developed. For the Kwek family, it is an example to “dig” a bit deeper into the “branching of wealth” among super-rich Asians. Leng Beng’s cousin, Quek Leng Chan, also a billionaire, runs the Hong Leong Group’s Malaysian operations. The huge conglomerate split up in the 1980s, so Mr. Kwek Leng Beng became executive chairman of the Hong Leong Group in Singapore while Mr. Quek Leng Chan, son of Mr. Kwek Hong Lye, heads their business interests in Malaysia. His son, Sherman is a group CEO of City Developments. Kwek Leng Joo, who was the younger brother of Leng Beng, passed away on 15 November 2015 from a heart attack. The deputy chairman and executive director of City Developments, himself a billionaire, was an outstanding photographer and philanthropist. A true intellectual and caring person. Conversations with him were always enlightening. Leng Joo always had a keen interest to hear other people’s opinions and he frequently asked my opinions and points of view on property markets of Singapore and the region. At this juncture, the article reveals that there are a big number of family members of each so-called “official” listed billionaires that are not on the list, yet they are very rich, and their wealth is derived from properties. In fact, more than 15 family members control Hong Leong Group, a conglomerate with interests ranging from finance to property in both Malaysia and Singapore. Forbes estimates the family value at over USD 23 billion. In no. 5 spot, USD 6.7 billion are the Khoo family, who are the heirs of late banker Khoo Teck Puat, who invested in Standard Chartered Bank. The lion’s share of their fortune comes from the sale of their stake in Standard Chartered Bank for USD 4 billion in 2006. The Khoos also control the Goodwood Group of Hotels. Their property positions include the iconic and historic Goodwood Park Hotel in the famed Orchard Road vicinity. In the 6th spot with USD 6.5 billion is the Wee Family. The father for the current chairman of United Overseas Bank, which is one of three biggest banks in Singapore, co-founded the bank in 1935. While the third generation of Wees is running the bank and the sibling is on its board, the family’s property arm is a privately held Kheng Leong. Headed by one of Wees, Kheng Leong Co. (Pte.) Ltd. operates as a real estate investment and property development company. It builds residential developments and retail projects across the Asia Pacific region in locations such as Shanghai, Hong Kong and Sydney, as well as London and Los Angeles. The company was founded in 1949 and is based in Singapore with an additional office in Shanghai. This company also owns 45 apartments in The Nassim, an ultraluxury condo, acquired for USD 290 million. In no.7 position with USD 5.4 billion is the Kwee Family. The four Kwee siblings control privately-held Pontiac Land, which owns several luxury hotels and iconic office towers across Singapore such as the Ritz-Carlton Singapore. The company was founded by their Indonesian father Henry Kwee, a textile trader and real estate developer, who migrated to Singapore in late 1950s. 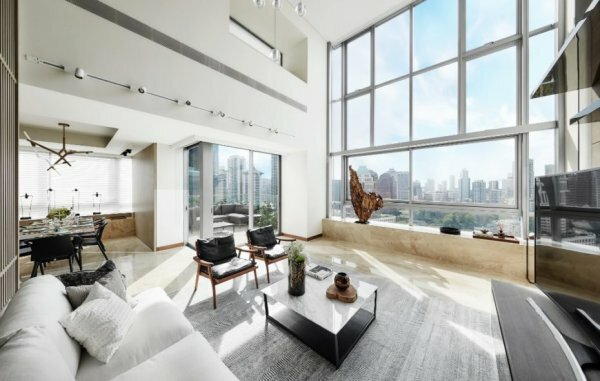 The Kwee brothers are building an 82-storey tower beside the Museum of Modern Art in New York, where apartments sell from USD 3 million to over USD 70 million. Last year, the brothers bought the Cappella Hotel group from legendary luxury hotelier Horst Schulze. The Kwees are building a resort complex in the Maldives and are partners in Mont Azure, a huge multipurpose project in one of the prime areas of Phuket. In no. 9 are the father-and-son pair, Raj Kumar and Kishin RK. They run the Royal Holdings/RB Capital which is one of Singapore’s leading landlords and property owners. The duo has been on a deal-making spree after a 2011 family settlement between Raj and his younger sibling Asok Kumar Hiranandani, who is also a billionaire. Raj and Kishin own a few office buildings in prime locations: the 442-room Holiday Inn Express and the five-star Hotel Intercontinental at Robertson Quay, a riverside popular area. In society circles, the family is known to own the biggest fleet of Lamborghini cars, some 11 cars which cost no less than SGD 1 million each (USD 730K), because Singapore is the most expensive place on earth to own a car. Raj Kumar and Kishin RK run the Royal Holdings/RB Capital which owns the five-star hotel Intercontinental at Robertson Quay. The 10th richest Singaporean with USD 2.6 billion is hotel tycoon Choo Chong Ngen, who made his fortune in textiles before launching his Hotel 81 budget chain in Singapore’s red-light district. The chain expanded islandwide and is now fast expanding in the mid-tier market, where he introduced a few more new hotel brands. The number “81” refers to the unit number of his home at the time. His privately-held hotel empire, which daughter Carolyn has been helping him run since 2002, has more than 6,500 rooms across Singapore alone. Since 2017, he has expanded into Thailand, Malaysia and Australia with four hotels managed by Travelodge and Holiday Inn. He is known to be a colourful person who had dropped out of high school to go to work to help his family. He said he started buying land 30 years ago and kept buying until now. “If I didn’t buy them, I wouldn’t be able to buy now because the price is very high. But 30 years ago, it was very cheap. I was very lucky,” opines Choo. Besides Hotel 81, he now owns Value Hotel, V and Venue brands, a four-star Hotel Mi and a massive Hotel Boss in a good location on Lavender street. Choo recently rebranded his group as Worldwide Hotels. In no. 11 with USD 2.5 billion is Kuok Khoon Hong, who cofounded Wilmar in 1991 and built it into one of the world’s largest palm oil producers. They delved in agricultural land and commercial property, but Kuok went further into plain property business, but of course. Kuok’s other investments include stakes in billionaire Zhong Sheng Jian’s Yanlord Land, a property company that develops residential real estates in China, as well as Perennial Real Estate Holdings. Kuok owns the Aviva Tower in London together with Indonesian billionaire and Wilmar co-founder Martua Sitars. St. Regis Hotel and Residences. In 12th place with USD 2.5 billion is Peter Lim, who after cashing out of palm oil giant Wilmar (yes, that is agricultural land) eight years ago, focused on property, healthcare and sports. 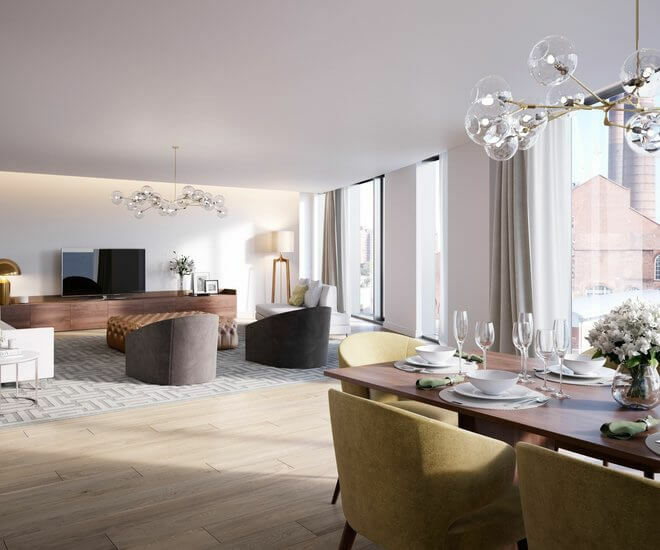 Lim is redeveloping Manchester’s historic Northern Stock Exchange into a boutique hotel and is involved in various property projects as well as plans for development in the Malaysian state of Iskandar, which is cross the border from Singapore. The 14th richest Singaporean is Sam Goi who owns Tee Yih Jia Food Manufacturing, the world’s largest maker of popiah skins, which are used for spring rolls. He also has real estate interests through his stakes in listed firms GSH and KOP. In 16th place with USD 1.9 billionaire husband-and-wife Ong Beng Seng and Christina Ong, who is one of Singapore’s most influential, property-focused couples. They built many high-end condos in Singapore: a partnership in the massive D’Leedon with 1,715 units, and co-developed the beautifully-designed Interlace. Ong is managing director of Singapore-listed Hotel Properties, which owns the Four Seasons and Hilton hotels in Singapore and is probably the biggest single owner of Four Seasons Hotels in the world. The group owns hotels, resorts and shopping galleries in 13 countries, namely, Singapore, Malaysia, Thailand, Indonesia, Maldives, Seychelles, Vanuatu, the United States of America, Bhutan, Tanzania, South Africa, Vietnam and the United Kingdom. Christina runs Como Hotels & Resorts, retail empire Club 21 and London-listed handbag maker Mulberry. Ong Beng Seng and Christina Ong, own the Four Seasons and Hilton hotels. The richest of them all is Robert Kuok with USD 14.8 billion originating in his palm oil, shipping and property business. You probably know of his awesome Shangri-la Hotels. Next, no. 2 is Quek Leng Chan with banking and property, worth USD 7.2 billion. He is the cousin of Leng Beng who is no. 4 on the Singapore list. In no. 5 position, USD 5.6 billion is Lee Shin Cheng, who chairs IOI Corp., the world leader in oleochemicals and one of the largest palm oil plantation companies in Malaysia. His younger son leads property group IOI Properties. At no. 6 with USD 4.7 billion is Lim Kok Thay the Genting chairman. Lim has fast expanded the group’s global footprints in the gaming sector. Forbes states he plans to open Resorts World Las Vegas in 2020 and launch the world’s first 20th Century Fox movie-inspired theme park at Resorts World Genting in 2018. Earlier this year, Lim’s Empire Resorts Inc. opened USD 1.2 billion Resorts World Catskills, a casino, hotel and entertainment complex. His New York complex will be the largest integrated commercial casino resort in the state, fitted with more than 150 table games and 2,150 slot machines. In no. 7 with USD 3.3 billion is another casino and hotel developer Chen Lip Keong. In 9th place is Lau Cho Kun with USD 2.6 billion with interests in farmland for palm oil and property business. In 11th place is Francis Yeoh with USD 2.4 billion. Yeoh helms diversified YTL Corp., founded by his late father Yeoh Tiong Lay. The family’s global empire boasts businesses in sectors such as utilities, cement manufacturing, hotels and property development. In Singapore, they hold the most trophy-prized possessions through their Reits, owning the Wisma Atria and Takashimaya shopping mall. They built a few luxury condos as well as a luxury villa project in the upscale Sentosa island. And the list goes on and on. The article’s message is clear. If you are wondering what is moving Asia, now you know. Indubitably, these rich Asians’ unstoppable love for real estate is just beginning to show up on the radar screens on an international level. Shlaen founded Panache Management (PM) in 1995 in Japan, crafting his “East Meets West” style of business management. He was later based in Hong Kong for four years, before relocating to Singapore in 2003 where he has since been based. Shlaen has also served on the board of directors for Brinks Japan, a joint venture between Nissho Iwai Corporation (the sixth largest company in the world at the time) and Brinks Inc (a Fortune 500 US corporation). As one of the few market analysts to predict a property boom at a time when global markets were in decline, Shlaen’s expertise is in high demand from prestigious companies to UHNWI investors. Shlaen’s PM represents companies that have superb and exquisite products that are outstanding in their niche markets. PM is representing Aston Martin Interiors, Tonino Lamborghini Casa, Formitalia design lines in Asia. PM is also involved in real estate and tech investment projects as well as providing luxury interiors and designs for exclusive homes, villas, hotels, offices, private jets and super yachts. He has been writing the Luxury Expert column in Property Report Asia and Palace magazine since 2009 and has appeared in various regional and global media, TV and is frequently sought to attend established business forums. Shlaen is an Independent Director on the board of SinoCloud Group Limited, which is publicly traded on the Singapore Stock Exchange. Shlaen holds an Executive MBA from the Kellogg School of Management and the Hong Kong University of Science and Technology.